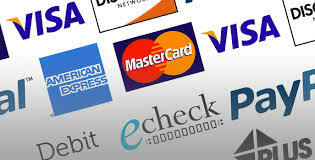 Please contact us for online payments of orders over $50,0000. You can order online by clicking on the Add to Cart Buttons and pay for the selected items with a credit card. You can call with your order information, or if you wish to mail or fax your order in, simply print the order form and fill it out and fax or mail it to us along with your check or payment information. Either with your question(s) or information on the item(s) you wish to purchase, or call 203-813-0414. If you are ready to purchase, simply email us and we will send you an Invoice for your purchase. 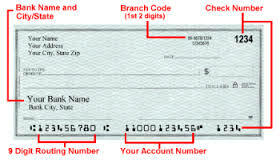 Or call us at 203-813-0414 or provide a number and time to best reach you to take care of payment arrangements. Once payment is processed you can expect your items to arrive within one - two weeks, pending on your location. Payment in full must be made prior to shipping out. Discounts are available on a case by case basis for purchases of multiple products. Prices, features or specifications are subject to change without notice. Any sale or special offer can be altered or discontinued at any time without notice. CT residents will be charged 6.35% sales tax. California residents will be charged sales tax on all Bend-Pak/Ranger products. It is customer's responsibility to pay any sales taxes not addressed above directly to their local agencies where does not collect taxes already. Online orders: sales tax charges will be assessed after your order has been completed. Any specials or sales prices cannot be combined with other offers. Minimum purchase of $25 is required. 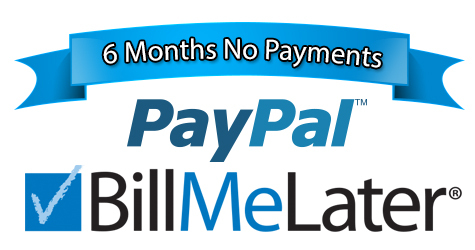 Net 30 orders that are paid late will be assessed a 1% late fee per month. Shipping to Continental USA only ! We don't ship to Canada, but we will ship to the Canadadian Border. Fill it out online or print it and fax or mail it to us. Instant approvals, Start up Business, Low Credit Score OK.
We work with the best Finance Company in order to serve you better. For credit applications please click the Logo's to get your application. 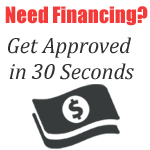 Apply for Financing now! No obligation by Applying. Instant Credit Decisions for ALL your Automotive Lifts and Shop Equipment needs!